A collection of creative writing prompts to trigger rich experiences, memories and ideas to get your writing process started. Sometimes, all we need is the match to light the fire and the spark to give the flame. The direction you take these writing prompts is totally up to you. You can use them to free-associate or brainstorm other ideas;you can substitute other words. One of these creative writing prompts might serve as the opening line of your novel, essay or be the topic for a poem. You might find yourself forgetting the original writing prompts and heading off in a new direction all on your own. Use the creative writing prompts below to provide some substance to your memoirs, journals, fiction or non-fiction work. List some of your childhood accomplishments. List five people you admire. Write what you like about them. Have they influenced you in any way? Compare 2 different things. What you actually like and why you should really like something else. Write about someone who has died but meant a lot to you. Write about someone who is dead who you would have liked to have met. What traits do you think that they could have taught you? Ten items I would love to own. Describe yourself at sixty. What do you look like? What have you learnt? Journaling ideas, topics and prompts. More journaling prompts, ideas and topics. Some of the best daily writing prompts. 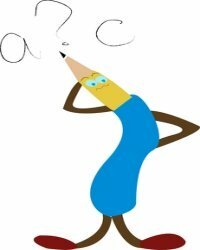 Fun tools to use for writing prompts. Return from creative writing prompts to the homepage.